We have commenced E coli compensation claims for a significant number of those who ate in Flicks restaurant in Belfast in both August and October 2012. Our clients are claiming compensation for the effects of E Coli food poisoning which they have suffered. We are confident that we can secure full financial compensation for each of them. If you or anyone you know has suffered food poisoning please contact Paul McEvoy at our Belfast office as soon as possible. Falls from ladders or from heights. Accidents on farms or with animals. Spinal fractures and other back injuries. Scarring injuries from cuts or burns. Broken bones and injuries involving joints. Loss of or injury to an eye. Internal injuries including loss of the Spleen, collapsed lung and injuries affecting the ability to have children. Food poisoning, including E. coli, campylobacter and salmonella. One of the main worries most people have when they think about bringing a claim is about legal costs. In fact, most people don’t need to worry about legal costs at all, because if we can win you compensation then the person or insurance company paying the compensation will also have to pay your costs. If we don’t think your case in clear-cut we’ll tell you that at the earliest reasonable opportunity. We can then help you to weigh up the risks and you can decide whether you want us to take on the case. People also worry that they will have to pay their solicitor out of their compensation. That won’t happen if we act for you. We never make charges like this to the clients we act for in injury or illness compensation cases. 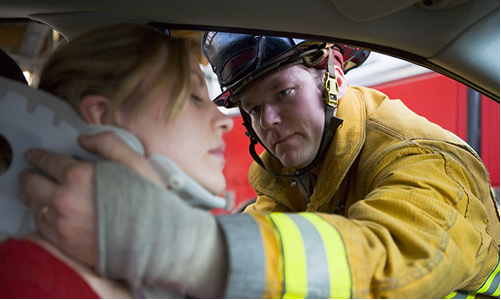 Whatever the accident, whatever the injury, we have the experience and expertise to make the best of your claim. Why not call us now for a FREE chat about what happened to you and what we can do for you. You will be under no obligation and it won’t cost you a penny to find out whether we can help you.